A fingerprint-based background check is the most comprehensive check an employer can obtain of an applicant’s past criminal activity. The term “background check” can be vague; therefore, resulting in exposure to numerous definitions and opinions. Yet, most companies do not realize the hiring risk involved when a fingerprint background check is not performed. When tapping an online database with a potential hire’s name, date of birth, and/or social security number you may not be obtaining the full criminal activity of a potential new hire. Fingerprints cannot be falsified at the time of an arrest; whereas, a name, date of birth, or social security number can, resulting in an incomplete check. Therefore, a fingerprint background check is the most comprehensive and viable background check available. With the advancements in biometrics, the electronic fingerprint process is so convenient for employers to require as part of their hiring process. In fact many states have incorporated into their laws, that any applicant obtaining a professional or state required license, must succumb to and pass a fingerprint-based background check. The fingerprint check, if done electronically, is the most convenient and time efficient way to get any criminal activity transparent to the employer. With this information, the employer then has the opportunity to further evaluate if this person is the right person to hire for the position. FastFingerprints offers an enhanced WebCheck system known as National WebCheck (NWC) to capture and submit electronic fingerprinting data to the Ohio Bureau of Criminal Identification & Investigation (BCI) and the Federal Bureau of Investigation (FBI). Because the FastFingerprints process for electronic fingerprinting uses state-of-the-art equipment, called Safeprintscan, the process is virtually error-free, avoiding smudged readings and/or delivery errors often associated with the ink processing method. Not every state, as of yet, allows all employers access to electronic fingerprinting for their potential hiring candidates. The state of Ohio has had this technology available for over 10 years, and as the quest to hire the right person and understand their complete background, it is business smart to access this process. This process is even more important when your candidate is coming from another state where arrest records may not show up because the arrest happened outside of Ohio; this is when access to the FBI database becomes important. FastFingerprints makes the process of performing background checks easy for you and your company, as you will receive efficient results through a number of services, including the FastFingerprints screening team coming to your office to perform fingerprint background checks. You know the importance of hiring strong employees. Performing a fingerprint-based background check is an essential way to creating a productive workplace, and with FastFingerprints conveniently located all over the state of Ohio, you won’t find a better background check service for your company. 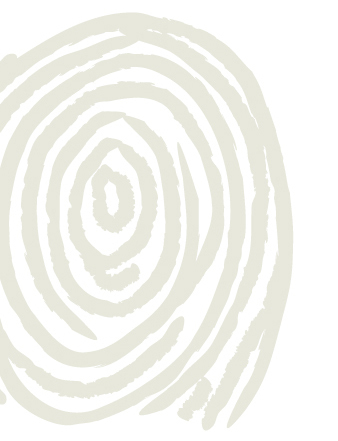 Fingerprints – who knew something so small could have such a large impact? Because the FastFingerprints process for electronic fingerprinting uses state-of-the-art scanners and secure submission procedures, the process is virtually error-free, avoiding smudged readings and/or delivery errors often associated with the ink processing method. Our goal is to ensure you receive Fast and Accurate results, allowing you to make efficient and effective hiring decisions. For this reason, we have developed an online result portal known as Web Results. This portal was created to facilitate a faster, more secure turnaround on Ohio BCI&I fingerprint results. Once a result is processed by Ohio BCI&I, the result is automatically uploaded to the secure online result portal. All authorized users on the account will receive an email notice that a result is available for viewing.